A native of New York, Mr. Weissman has been a Technology Education teacher at Poudre High School since 2004. After attending the University of Michigan, where he was a member of the wrestling team, Mr. Weissman eventually received his teaching credentials from Colorado State University. He earned his Master's Degree from the American College of Education in 2011. 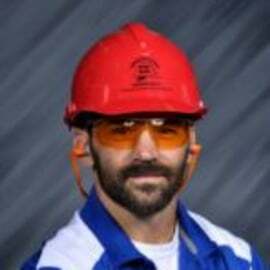 With experience in various construction and engineering trades, Mr. Weissman spent eleven years in the U.S. Merchant Marine Service. A wandering vocation carried him from Alaska, Eastern Canada, the Caribbean, and the South Pacific to a more settled life with his wife, two cats, and a cozy home in sun-drenched Colorado. When not helping students design and build amazingly cool stuff, Mr. Weissman enjoys being an assistant wrestling coach, competing in ultra-distance endurance events, and hiking, biking, and camping in the beautiful Rocky Mountains with his beautiful wife.